Several weeks of announcements have resulted in a clear picture emerging with regards to how much BT Sport will cost and where the revamped BT Sport line-up, including Champions League football, will be available on pay TV platforms. For many BT subscribers it's become clear that the original headline charge of £5 a month for BT Sport on platforms other than BT's YouView service is not just for BT Sport Europe; it's for all BT channels apart from BT Sport 1. 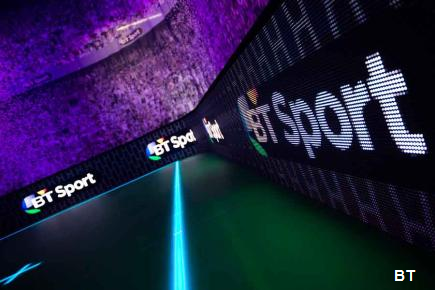 In the last few days Virgin Media has confirmed it will be carrying the new BT Sport Europe channel, but full details are yet to be released. Plusnet has confirmed its pricing arrangements for its broadband users who use Sky. BT meanwhile is now offering forthcoming premium drama channel AMC as an incentive to stop BT broadband users opting out of the £5 charge that is being applied to the full set of BT Sport channels via Sky TV from August 2015. Available as part of Big Kahuna and XL TV package (Big Kahuna From £58.99 a month). More information on the Virgin Media website. Not available. Some free BT Sport content will be available via Freeview. Last updated 15/07/2015. Subject to future price changes. *AMC is due to launch in September 2015 and is being offered to subscribers of the BT Sport Pack via Sky. It’s being offered at “no extra cost” to BT broadband users with Sky TV, but pricing information for non-BT Broadband customers subscribing to the BT Sport Pack on Sky is still unknown and is therefore marked "to be confirmed" above. **AMC is due on BT’s YouView service in September 2015. E&OE a516digital offers this as an independent service and unlike other websites does not receive commission for recommending any particular service. You are advised to check the terms and conditions that are applicable. Prices above are standard prices and exclude any introductory offers or retention deals.